If you are behind on your mortgage payments, filing a Chapter 13 bankruptcy case may be your best option for catching up your past due payments. Once you fall behind on your mortgage payments, it is difficult to catch them up without some assistance. Borrowing money to catch up your mortgage payments will not resolve your issues. In fact, it often makes your financial situation worse and you will eventually face a foreclosure action. However, filing a Chapter 13 bankruptcy allows you to catch up the past due payments over a 60-month term while also resolving your other debt problems. In some cases, you may be able to get rid of a second mortgage completely by filing bankruptcy. 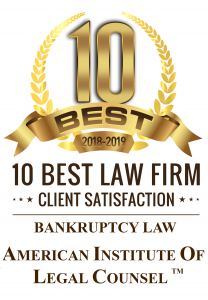 When you file under Chapter 13 of the Bankruptcy Code, you must file a bankruptcy plan and serve a copy of the plan on all of your creditors. The bankruptcy plan provides details about how you propose to reorganize your debts such as catching up your mortgage payments, paying your unsecured creditors a percentage of what you owe on the accounts, and paying other secured debts such as car loans. Your proposed plan may also include various motions to value liens or avoid liens. One motion that is beneficial to some debtors is the motion to value a second mortgage at zero. If the motion to value your second mortgage is granted, you can get rid of a second mortgage in Chapter 13. Unfortunately, only certain individuals can get rid of a second mortgage in Chapter 13. You must meet certain requirements before the court will grant your motion. If you do not meet these requirements, you will not be able to get rid of a second mortgage. In order to value your second mortgage at zero, the payoff on your first mortgage must exceed the value of your home. For example, if the payoff on your first mortgage is $100,000 and the market value of your home is $120,000, you cannot get rid of your second mortgage in Chapter 13 because it is worth $20,000 more than the payoff on your first mortgage. However, if the market value of your home was $90,000 ($10,000 less than the payoff on your first mortgage), you could value the second mortgage at zero. In most cases, you will be required to obtain a written appraisal (at your own cost) to establish the market value of your home. What Happens to the Second Mortgage if I Value it at Zero? If you are successful in valuing the second mortgage at zero, your second mortgage will be treated as an unsecured debt. This means that the mortgage lender will receive the same percentage as your other unsecured debts (i.e. medical bills and credit card debt). If you are paying your unsecured creditors a 10% distribution, your mortgage lender will receive ten cents on the dollar. Once you complete your bankruptcy plan, the remaining balance owed on the second mortgage is discharged and the lien is released. You no longer owe any money on your second mortgage.